8 x 10 inches. Color print on Kodak paper. NASA S-69-31739, printed in red in the upper left border. Near fine. 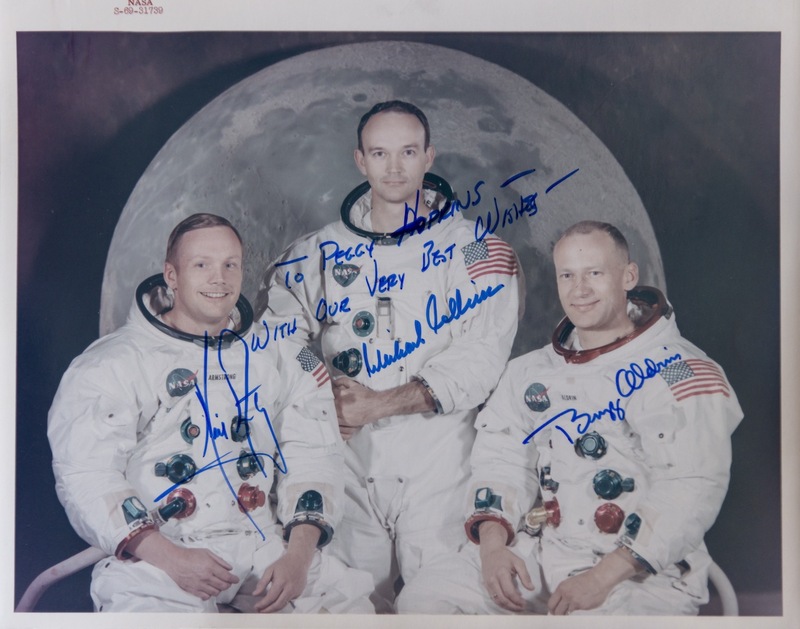 Signed and inscribed by the crew of Apollo 11, the first manned mission to the land on the moon: Neil Armstrong (commander), Buzz Aldrin (lunar module pilot), and Michael Collins (command module pilot), with an added inscription by Collins. This official NASA photograph shows the three astronauts in their flight gear with a picture of the moon as their background.